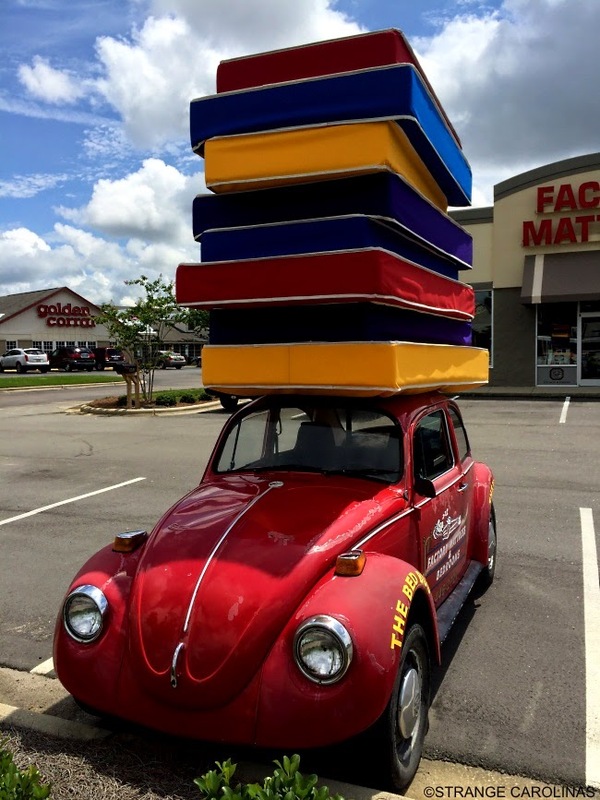 We all know that ants can carry many times their body weight, but who knew beetles can do it too? 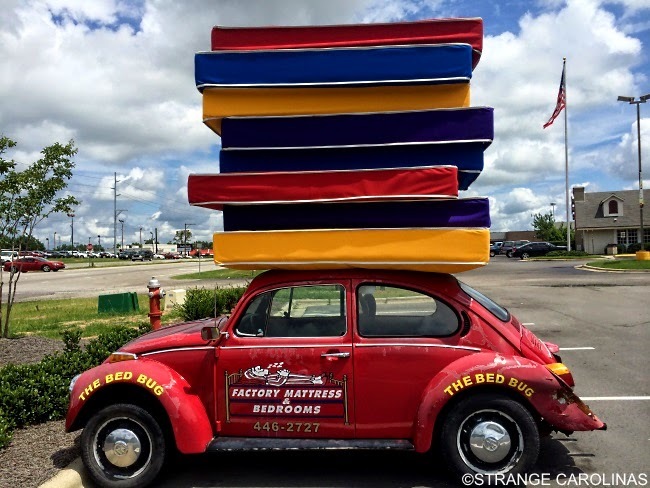 This VW bug outside Factory Mattress & Bedrooms has 8 mattresses on its roof. 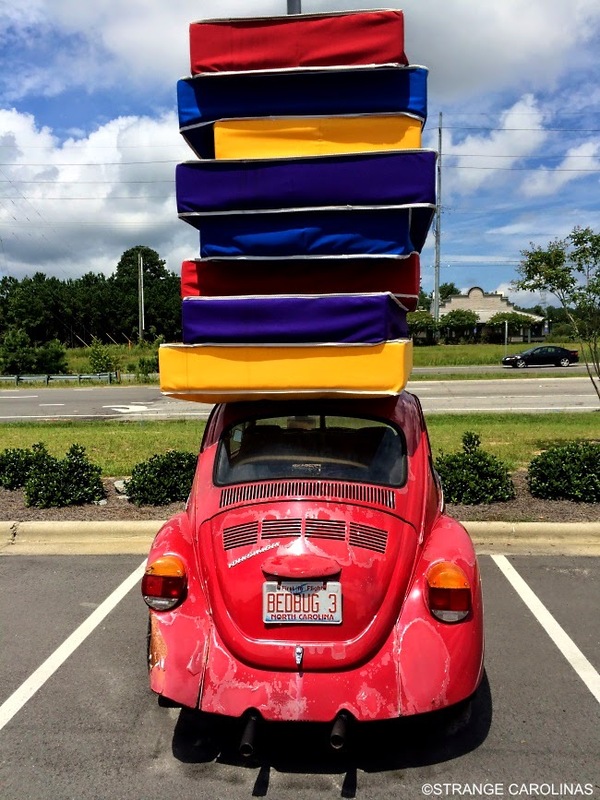 This is what you have to use when your car's too old for airbags. We'r went to the address and thre is a restaurant there.